Brazil's Nuvem de Livros might not be getting much attention in the English language blogosphere but it is drawing the attention of readers. This service recently boasted that they have 1 million users in Brazil and Argentina, making them the single largest ebook subscription service short of the Kindle Owner's Lending Library. The reason for their success? Students. Nuvem de Livros was launched to offer students access to content that Brazil's limited school libraries couldn't provide. Terra Brasil reports that this platform was developed in partnership with the Brazilian telecom Vivo, and that it has a goal of supporting the 15 million Brazilian students who only have a limited access to a library, as well as the 3 million college students taking distance learning courses. Students pay a discounted subscription of 2 Brazilian reais per month (under $1), while regular subscribers pay 6 reais per month. They can read ebooks from a 10 thousand title catalog in their web browser or in apps for iPad, Android, and iPhone. The students can read novels, biographies, short story collections, or essays, and they can also look up terms in encyclopedias and dictionaries or study interactive maps. 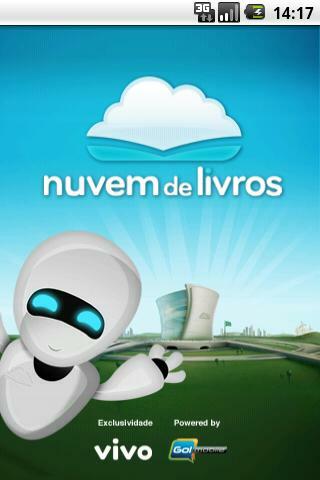 The Nuvem de Livros catalog also includes audiobooks, educational videos, and author interviews. The apps are equipped with features that allows users to search through books to find specific terms, bookmark pages, and learn. Brazil has passed a law that requires schools to have well-stocked libraries by 2020, but based on current trends (as anyone familiar with school funding could tell you) it doesn't seem likely that they'll achieve this goal. Surprisingly, they have managed to bring internet access to schools in a timely fashion. The latest data from the Brazilian government shows that 94% of public schools in Brazil offer internet access. That figure is far higher than the percentage of schools that have libraries, much less well-stocked libraries. It's also far higher than the 40% of Brazilians households which had access to the internet in 2012. Nuvem de Livros is already available in Argentina and plans to launch in other Latin American countries and Spain in September. As they add more Spanish language content they'll move more into direct competition with 24Symbols, a competing service that offers more titles (15 thousand at last count) but has far fewer users (175,000). You wrote LiBros twice. Nuvem de Livros is great and I’m glad to see it in Brazil. We need more readers, and better books in our market. I’d like to pretend that it’s a typo but TBH the years of Spanish class I had in school kept tripping me up. No problem. Love the blog, by the way, congrats.